Let's go ahead and call it the "Tennessee Effect." A nickname is given to any event that causes a seismic change in an industry, and that's just what Tennessee did this offseason when it re-defined the salary structure of college football with the hiring of new coach Lane Kiffin's staff. The numbers are staggering: $1.2 million for a coordinator, $650,000 for a defensive line coach and at least $350,000 for two other assistants. Just like that, Tennessee single-handedly ratcheted up the cost of doing business for every school. And athletic directors across the nation have taken notice. "It's a concern for all athletic directors during these challenging times," Minnesota A.D. Joel Maturi says. "Many areas across our campus have been issued a wage freeze." Tennessee has the most expensive staff of assistant coaches in college football history. The price: $3.325 million for nine assistants. That comes out to $369,444 per coach. That makes the $2.4 million that Alabama doled out to its nine assistants this past season – which was tops in the nation – seem like a pittance. "We chose a little bit different model to allow Lane to hire the right kind of staff around him to be able to have the kind of success we need to have in football," Tennessee athletic director Mike Hamilton says. Some feel this is excess to the extreme – and even a bit shameful, given the tough economic times. Banks are failing, the auto industry is on life support and unemployment is at heights not seen since the early 1980s, but it's as if college football merely shrugs its massive shoulders and lights another cigar with a $100 bill. "On an ethical level, it is preposterous, if not heinous, to have the football and basketball coach paid several times as much as the university president," says Andrew Zimbalist, an economics professor at Smith College who is considered an expert on the economy of sports. "What message does that send to the students about the priorities of the school or the society?" College football, though, can be lucrative. Football coaches and their assistants play a substantial role in the creation of revenue that funds many benefits to universities, including other sports. "It is clear that the best coaching staffs are creating significant added value, resulting in greater proceeds from marketing, licensing and ticket sales, increased charitable donations, and a rise in student admission applications," says Neil Cornrich, who represents many high-profile head coaches. "Consequently, there is more competition for top coaches at all levels." That brings us back to Tennessee, which hasn't won the SEC since 1998. Meanwhile, conference brethren Florida and LSU each have won two national titles this decade, Alabama is on the precipice of again becoming one of the top programs in America and Georgia has won two SEC titles and is a national power. Oh, and Arkansas, Auburn and Ole Miss are ramping up for big runs under new coaches. The highest-paid Vols assistant is defensive coordinator Monte Kiffin at $1.2 million annually, making him the highest-paid assistant in the nation and the first million-dollar coordinator. Defensive line coach/recruiting coordinator Ed Orgeron – who also has the title of assistant head coach – gets $650,000. Offensive coordinator Jim Chaney ($380,000) and linebackers coach Lance Thompson ($350,000) give the Vols four assistants who make at least $350,000. Factor in Lane Kiffin's $2 million deal, and Tennessee is spending $5.3 million on football coaches this year. Amazingly, that aggregate figure ranks just fourth in the SEC, behind LSU, Alabama and Florida, largely because the head coaches of those schools are paid more than Kiffin. "Our funding model requires football to be successful in order to fund other sports and not detract from the university's mission," Hamilton says. "This team of experienced coaches understands that vision. "While our coaches' salary model is unique, we feel it is a great model for Tennessee. Coach Kiffin understands the power of putting together a great team, and he used the budget we provided to assemble what many will consider to be the best staff in America." Not surprisingly, the SEC is the trend-setter in this spending spree. It's like any other industry: The top companies attract the top talent and pay top dollar. And the pursuit of – and bidding for – prime SEC assistants has been fast and furious this offseason. Tennessee hired away Thompson (Alabama) and David Reaves (South Carolina) from other league schools. Alabama grabbed James Willis from Auburn. Auburn lured Tracy Rocker away from Ole Miss. LSU nabbed Ron Cooper from South Carolina and also hired former Tennessee defensive coordinator John Chavis. And on it went, as schools anted up in hopes of winning the SEC championship. Some trace the all-out salary explosion to Alabama's courtship of Nick Saban after the 2006 season. Alabama gave Saban an eight-year, $32 million contract that made him the nation's highest-paid coach. While Tennessee garnered most of the headlines this offseason, Auburn also wrote some massive checks in building Gene Chizik's first staff on the Plains. Media reports indicate that four Auburn assistants will be paid more than $300,000: defensive coordinator Ted Roof ($370,000), offensive coordinator Gus Malzahn ($350,000), wide receivers coach Trooper Taylor ($320,000); and Rocker ($300,000). And offensive line coach Jeff Grimes isn't far behind ($290,000). All five were hired off other staffs: Roof from Minnesota, Malzahn from Tulsa, Taylor from Oklahoma State, Rocker from Ole Miss and Grimes from Colorado. The high cost of coaching has had a trickle-down effect. Non-"Big Six" schools can't match the spending clout of their big-boy brethren, which has impacted smaller schools' ability to retain top talent. Fresno State is a perfect example. Every offseason, it seems, Bulldogs coach Pat Hill loses an assistant – or two – to a higher-paying jobs at a school in a bigger league. Look at his offensive coordinators alone. It started with Jeff Tedford (Oregon) and has continued with Andy Ludwig (Oregon), Frank Cignetti (North Carolina), Steve Hagen (North Carolina) and Jim McElwain (Alabama). This offseason, Hill saw Doug Nussmeier bolt to join the Washington staff. "It is tough," Hill says. "We don't have the resources the bigger schools have. We do the best with what we have, but it is a challenge to keep hiring quality people. But I like the challenge." Big expectations are part of receiving big money. In other words, to whom much is given, much is expected. Lane Kiffin is ready. "As I said in the first press conference, this staff was going to take some time," he said recently. "It wasn't about doing it fast, it was about doing it right … Once again, I would like to thank Mike Hamilton, the athletic department and our donors for making this possible." 1. PK Phil Dawson, 1999: Lone remaining player from the expansion season, he is rewriting the team record book and can arguably be called the franchise's all-time greatest kicker, Lou Groza notwithstanding. 2. DL Orpheus Roye, 2000: In eight seasons, he started at left tackle and right tackle in a 4-3, and left end and right end in a 3-4. Was never the defense's best player, but always its most consistent. 3. OT Ryan Tucker, 2002: A stalwart his first two seasons, he began suffering injuries in '04 and had only one 16-game season since. The former position coach called him "the best we've got," including Joe Thomas. 4. OG Eric Steinbach, 2007: A solid, versatile pro who gets the most out of his lanky frame and is not the conventional mauler most teams look for at the position. 5. RB Jamal Lewis, 2007: In hindsight, maybe the Browns should have been one-and-done with him after his first season and looked for younger legs. 6. (tie) P Dave Zastudil, 2006: His 44.0-yard gross average over three years is a franchise record. His 2008 was one of the best years a Browns punter ever had. P Chris Gardocki, 1999: In five years, his 486 punts rank second all-time for the Browns, and his gross average is third best. Oh, yeah, never had a punt blocked. Green Bay - The answer drew a few chuckles - not only from the questioner, but also from Colin Cole's nearby teammates. As the 2008 NFL season wound down, Cole was asked about his future. The Green Bay Packer defensive lineman and soon-to-be free agent had this to say. "I think (general manager) Ted (Thompson) likes me. I think he likes me a lot," Cole said. "And to be honest with you, I don't care if I'm talked about anywhere except for that circle upstairs. That's the only circle that really matters." Free agency begins Friday, and it's an extremely light year for the Packers. In addition to Cole, defensive end Mike Montgomery and right tackle Mark Tauscher are the lone unrestricted free agents. And Cole may be right, as it appears he's the player Green Bay would like to sign first. The 6-foot-1, 330-pound Cole was one of the Packers' most consistent defensive linemen in 2008. And Green Bay believes Cole can play nose tackle, and even some defensive end, in their new 3-4 scheme. Cole, who turns 29 in June, played last season for $1.4 million, the highest figure of his five years in Green Bay. This will be his best and perhaps last chance at a bigger contract, so Cole may very well want to test the market. Cole is coming off his best season in Green Bay. Cole played in all 16 games and set career-highs in quarterback pressures (11½) and passes defensed (four). "Do I love Colin Cole? Well, not in an emotional sense," Thompson said. "But I like Colin quite a bit. He's a very good person, he's a good teammate and a little bit of an underrated player." Growing up, Mark Tauscher enjoyed reading all sorts of children’s books. Nowadays, the Green Bay Packer still reads his fair share of children’s books, but he prefers political fiction. Through his TRIFECTA foundation — Tauscher’s Reading Initiative For Every Child To Achieve — the offensive tackle promotes education and reading to children throughout Wisconsin schools. He provides grants to schools and frequently visits classrooms to read to the students. A native of Wisconsin, Tauscher has long understood the importance of reading. He overcame struggles with reading in grade school and used academics as a path to succeed in football. In fact, he was not originally offered a football scholarship to the University of Wisconsin and instead had to walk onto the team. Playing in his home state, Tauscher is fortunate to have the opportunity to give back to the communities he has been in and around his whole life. In college, Tauscher earned his degree in history and continued in a master’s program in educational administration. Once he completed his master’s degree in 2003, Tauscher began looking for ways to promote learning. He contacted professors at Wisconsin and spoke with school superintendents. “We tried to come up with different ideas that would fund programs on a small level that would try to make the most impact of the money that was made,” Tauscher said. Tauscher, 31, is constantly looking for ways to improve the foundation’s work. He recently shifted the focus solely from Milwaukee schools to the rural areas, where funding is hard to come by. “We’re trying to constantly look for the best way to help,” Tauscher said. “What we’ve found over the last couple of years is that the rural schools—those towns have been hit really hard. Tauscher, who has spent his entire nine-year career in the NFL with the Packers, said that the teachers appreciate his appearances as much as the students do. “When you go into a classroom to read to kids, you just see the energy level pick up and you see what it does for the teachers to help propel their students to advance,” he said. Through his foundation, Tauscher offers several special programs and events, including EXCEL grants worth $1,500 that aid schools and children. Two years ago, he also offered students entry into a raffle if they met certain reading benchmarks. The six winners of the raffle got to spend a day at Lambeau Field for a Packers game. Tauscher said seeing the fun kids have at a game is one of the most gratifying aspects about giving back to the community. To fund TRIFECTA’s programs and grants, Tauscher holds an annual golf tournament featuring many of his Green Bay teammates. For their part, Tauscher’s teammates recognize the work he does off the field. After being sidelined with a knee injury this past season, Tauscher was named the Packers’ Ed Block Courage award winner and their nominee for the Walter Payton Man of the Year Award. His teammates also help add to his library of children’s books. Donald Driver recently put out a book for kids, “Quickie Makes the Team,” and Tauscher can’t get enough of it. Washington dazzles: Another Ohio State cornerback, Donald Washington, helped himself considerably. Washington, who came out early, topped everyone with a 45-inch vertical leap and a broad jump of 11 feet, three inches. He beat Connecticut cornerback Darius Butler by two inches in the vertical jump and one inch in the broad jump. Both marks are near the top of all-time Combine records. Washington's showing didn't surprise James Laurinaitis. "Donald is a freak," Laurinaitis said. "To me, Donald is a first-round talent that someone is going to pick up in later rounds, just because of some of the things he had to deal with since he's been here (two-game suspension for violating an unspecified team rule). Talent-wise, Donald is one of the best corners in the country. He's going to make some team and be a gem for somebody." 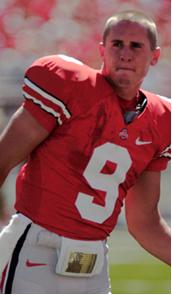 Hartline too: OSU receiver Brian Hartline, another junior eligible, was first among all players with a 10.92 clocking in the 60-yard shuttle. He was second in the three-cone drill in 6.62 seconds and fourth in the 20-yard shuttle in 4.12. That means Ohio State players won three of the seven Combine drills. Indianapolis - The Green Bay Packers' top priority between now and the start of the unrestricted free-agent signing period at 11:01 p.m. Thursday is the re-signing of defensive lineman Colin Cole. Cole has attracted considerable interest from other National Football League teams and the Packers are trying hard to prevent him from leaving. "I think he wants to see his marketability and what his value is," coach Mike McCarthy said at the scouting combine. "But I like Cole still. If any of our guys plays very square, he does. I think he can be a nose in our scheme and I think he has the ability to bounce outside and play the end. He's been a pretty versatile guy." If the Packers lose Cole, they apparently realize he would be hard to replace. It's a poor year in the draft at the position and Cole is one of the better inside players in free agency. Green Bay appears fairly well-stocked at linebacker in its 3-4 defense but defensive line is a whole different story. Starter Ryan Pickett is the only other legitimate nose tackle on the roster and depth at end is almost nonexistent. The 328-pound Cole is coming off possibly his finest season since joining the Packers in 2004. He was more consistent holding his ground and had a career-high 11½ pressures in 451 snaps. As usual, the Packers have more than enough room under the salary cap to make an early splash in free agency. General manager Ted Thompson, however, has never done that. "We're talking about guys," McCarthy said. "Whether it happens or not . . . every year is different. Our free-agent board is no different than how we discuss the draft." The pool of players has been diluted in the last week by teams making liberal use of franchise tags. "I think the numbers are going to be high," McCarthy said. "I think you always have your crazy spending at first. We've had success and teams have had more and more success through the draft. It's going to be interesting to see where this free-agent market goes." NFL players perform many charitable works as part of their daily lives in the public eye. New England Patriots' outside linebacker Mike Vrabel belongs to that group. His versatility on the field may be secondary to his talent off the field throughout the year, not just during the football season. Few fans may know that Vrabel has added “author” to his resume. How did this literary aspiration come about? Together with two teammates (Ryan Miller and Luke Fickell) from his playing days at Ohio State University, Vrabel volunteered to read to second grade children as part of his student-athlete curriculum. As undergraduate football players, the three friends formed a unique bond at OSU, which carried over into daily life. The three OSU graduates wanted to improve the literacy skills of all children. After college they went separate ways and to separate NFL teams, but a few years ago their bond grew with the creation of The Second and Seven Foundation. Vrabel, Miller, and Fickell were delighted with the response to their efforts. They increased their efforts to visit second grade students who suffered the worst of socio-economic troubles and learning disabilities. A humble idea of reading to children grew into an adulthood mission. The Second and Seven Foundation started by giving books to the second graders during their visits. They wanted to give books to every child in every school in Ohio. The foundation name comes from their target group, second-graders, and the modest goal of meeting students each year in seven schools. The program has obviously grown much bigger. This year Vrabel re-teamed with Miller and Fickell to go in a different direction: writing the children's books that they read to kids. Who could have guessed their own creative energies might emerge as authors of a literary series? They saw what topics and ideas fired up kids. It was an easy step to go the distance and write their own text to give to second-graders in all the Ohio schools. That meant thousands of books and thousands of children. It was a costly endeavor for their giveaway program. So, that’s how the series about the mythical creatures called the Hog Mollies was born. Their joint efforts now have resulted in the first book of the series entitled The Hog Mollies and the Pickle Pie Party. Their publisher, Kendall Hunt, offers the book both in hardcover and softback. Vrabel, Miller, and Fickell want to give away all 50,000 copies that have been published to children in schools they visit. Those sold will have the profits re-applied to the mission of the foundation. Future books should be forthcoming annually by football authors. The group wants to "help promote literacy nationwide,” including the ability to read, write, use computers, and evaluate the information and misinformation often found on the Internet. The Second and Seven Foundation also hosts a football camp (its third year) near Columbus, Ohio, where Vrabel volunteers his time with his partners. Other events sponsored by the foundation include the annual Celebrity 8-ball Pool Tournament, which brings together NHL, NBA, and NFL stars. So the next time you want some Vrabel memorabilia, try buying a copy of the Hog Mollies tale. Every New England Patriots fan ought to support Vrabel's efforts to improve the literacy skills of children. Who knows? Vrabel's efforts may encourage the next generation of Bleacher Readers. One grotesque play in the 2003 Fiesta Bowl lit up phones and e-mail in-boxes of insurance brokers who deal in broken athletes. Maybe you remember it: Miami running back Willis McGahee slices down the right sideline. Ohio State defender crashes into left knee, folding it backward, ripping tendons from bone. A sure NFL top 10 draft pick's career - and multimillion-dollar payday - are suddenly in doubt. 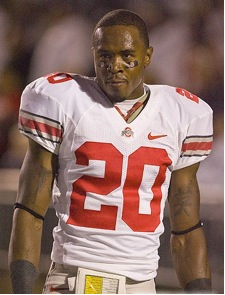 Many top college athletes saw McGahee's injury, gulped hard and got price quotes on disability insurance - just in case. With high-stakes contracts and signing bonuses on the line with every snap, athlete disability insurance has become big business. Most projected high NFL draft choices and other elite college athletes at least consider buying disability coverage. That's especially true for prospects choosing to temporarily bypass potential NFL riches for another season as a Big Man on Campus. Heisman Trophy winner Sam Bradford and his family are among those now weighing whether to buy coverage. The Oklahoma quarterback chose to return to the Sooners for his junior year rather than enter the NFL draft as a coveted talent. Riches await, but he hasn't bought disability coverage yet. "I'll have to see the contract itself and what actually triggers a claim," said Kent Bradford, Sam's father and an Oklahoma City insurance agent. "With medical technology, there aren't that many career-ending injuries anymore." The Bradfords are wise to investigate first. As popular as such policies have become, coverage is expensive and offers limited protection. Most are written so that an athlete must suffer a career-ending injury to collect a dime. The football star usually has no claim for an insurance payout if he slips in draft value because of an ailment that slows his gait but doesn't lay him out permanently. Even McGahee, who had bought $2.5 million in disability coverage just hours before the Fiesta Bowl, never saw a penny from the policy. Remarkably, he didn't need it. He was still drafted in the first round, worked his knee back to health and has rushed for more than 5,000 yards in the NFL - first with Buffalo and now the Baltimore Ravens. "I thought he was done," said Keith Lerner, the Gainesville, Fla., insurance broker who has written disability policies for more than 20 first-round draft picks in the past 10 years, including McGahee and another former Miami Hurricane, Santana Moss, now with the Washington Redskins. There wasn't much demand for disability coverage just 20 years ago. But with today's expensive rookie contracts on the line, most of the players taken in the NFL Draft on April 25-26 will be insured, Lerner said. Among Lerner's promising clients entering this year's draft are quarterback Matt Stafford and running back Knowshon Moreno, two Georgia juniors who decided to go pro. A third, Florida State safety Myron Rolle, chose to delay his NFL career for a Rhodes Scholarship, but took out an insurance policy as a precaution. All three bought coverage just before the start of 2008 spring practice. Athletes are covered whether the career-ending injury occurs on or off the field. So, let's say, a top tight end wrecks his body doing motorcycle tricks in a parking lot. If a doctor determines he can no longer take the field, the player is covered. Policies aren't cheap, however, with premiums costing usually 1 percent to 1.5 percent of coverage. A $1 million policy, typical for college players, costs $10,000 to $15,000. Most players must take out bank loans to pay for it, and repayment is required whether the athlete scores a big contract or not. "It's big money when you don't have the money," said Beachwood sports agent Neil Cornrich. Players such as Bradford, who decide to forgo the NFL draft and return to college next fall, may have the most at risk. By most draft evaluations, he could have been financially set for life. "If they didn't have the insurance," Lerner said, "then I think most of these high-profile guys would leave." Providing juniors incentive to stay put was at least partly why the NCAA began selling disability insurance to elite football and basketball players in 1990. The other reason was to ward off agents from violating NCAA rules by buying coverage for players they hoped to represent. The program has since expanded to other sports, but at least three-fourths of the 100 to 120 policies the NCAA handles each year are bought by football players. NCAA policies range in coverage from $500,000 to $5 million, recently increased from $3 million to keep pace with swelling pro contracts. Premiums range from $5,000 to $30,000, due when the athlete has signed a pro contract, exhausted his or her eligibility or been ruled medically unable to play again. "Our whole goal is to give them the option [of staying]," said Juanita Sheely, who manages the NCAA's insurance programs. Ohio State senior linebacker Marcus Freeman said he and his father discussed whether to take out coverage after he decided to return to the Buckeyes for the 2008 season. They considered not buying a policy because of the expense, but felt the risk was too great. "I was very close to not doing it," said Freeman, who took out a $1 million policy through the NCAA for close to $10,000. "I wondered, 'Is it something we should do to cover ourselves?' - and he agreed. You never know what's going to happen." But collecting on an insurance claim is rare. The NCAA's Sheely estimated that fewer than a dozen college athletes have cashed in on claims. That's on about 100 policies a year for 19 years. Lerner, the private insurance broker in Florida, has sold hundreds of policies. He's had to pay just two claims: One was to a Russian pro hockey player; the other was to Ed Chester, a former University of Miami player who collected $1 million when a knee injury sidelined him for good. A cool million isn't first-round draft choice money. But it's a whole lot better than nothing. Now that the Super Bowl is over, we can get back to focusing on the Ravens and their offseason plans. We've discussed Ray Lewis and the linebackers, we've discussed Jim Leonhard and the safeties, so now let's focus on a guy who has been with the Ravens/Browns almost as long as some current Ravens have been alive. Matt Stover entered the 2008 season as the 2nd-most accurate kicker in NFL history (83.8%), and he battled back from a tough start to the season to post decent stats on the year (27-for-33, 81.8%). Stover is a Ravens institution - he's been in Baltimore since the beginning, he won a ring in 2000, he was voted as the franchise's greatest player on ESPN.com. But he's now 41. His leg isn't what it used to be. This year, his field goals maxed out at around 47-48 yards. He was taken off kickoff duties. The Ravens had to carry two kickers on their 45-man roster on gamedays for most of the season. The team had strong-legged rookie Steven Hauschka handle any field goals outside Stover's range, and he showed promise in his limited action. Hauschka connected from 54 yards out mid-way through the season, and he posted the seventh-best kickoff average in the league. Stover is an unrestricted free agent this offseason, so he's got some choices to make. After the Ravens' loss to the Steelers a couple weeks back, the 19-year vet was asked if retirement was an option. "Retirement has been an option for 10 years," Stover said with a laugh. "My family will come first, so if that needs to be done, it needs to be done. But right now, I'm going to take some time off and we'll see where we land in March and see what the Ravens want to do and see what else is out there in the league too." On a team that values field position and special teams play, Stover's lack of leg strength definitely cuts into what head coach John Harbaugh wants to do, hence Hauschka's presence. But carrying two kickers can hurt the team in other areas. We saw in the AFC Championship game how thin Baltimore's secondary was (they had rookie safety Haruki Nakamura see a couple snaps at cornerback), and if Hauschka wasn't needed, the team could've added another DB to help provide some depth. It's hard to say if the Ravens would stick with the two kicker strategy again next season. If not, assuming Stover wants to give it one more go, would they bring him back and sacrifice the 5+ yards on field goal tries and 4-5 yards on kickoffs? Here's an even juicer question: Would they let Stover walk and hand the reigns over to Hauschka? The rookie impressed the coaching staff this season, but I'm not sure if they're ready to make him their full-time guy yet. Also, it would be incredibly tough to ignore Stover -- a guy who has meant so much to this franchise and community for so long. For his part, Harbaugh said a couple of weeks ago that he wants to see Stover back in the Purple and Black next season. "He's  years old, he's a free agent, and he's still a really good kicker," Harbaugh said. "We're not really too interested in weakening ourselves if we don't have to, but that remains to be determined as well. "If we can bring him back, we will, and if we can't we're going to have to move in another direction." There are a lot of questions surrounding the Ravens this offseason, but I think this might be one of the more intriguing and underrated areas. Stover might make all this a moot point by announcing he's hanging up the cleats, but if not, let's keep an eye on Ozzie Newsome and see what direction the Ravens decide to go.